For those of you living in jurisdictions that have not legalised the production and use of marijuana, Modern Farmer (really a publication that we ought to learn to check with more regularity) comes to the rescue with seven suggested smokable, easy to cultivate plants that you can grow that are perfectly legal, perfectly safe and perfectly boring. 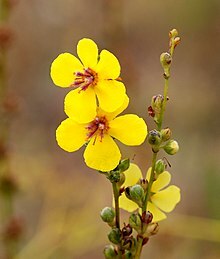 Though plants like mullein (verbascum, Königskerzen, found both in Eurasia and North America) or sage (salvia, Salbei) might not sound appealing they are not without their pharmacological merits (see also) and uses in traditional medicines and many comprise the base and thus the bulk of other herbal mixes, so there is a demand for coltsfoot (Blandlattich) and mugwort (Beifuß). Check out the article at the link up top for further properties of the plants, tips on how to grow them in your own garden and how to harvest, dry and make your own special blend.